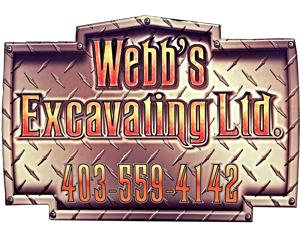 At Webb’s Excavating, we know that the right equipment is the key to high quality results. Whether we have to dig for new foundations, level a slope for landscaping, remove snow or install underground conduits, we make sure to use the proper machinery in a safe and efficient way. Located in Olds, we offer our services to commercial, residential and industrial customers from Olds area to Central Alberta, Calgary and Edmonton. Do not hesitate to communicate with us!